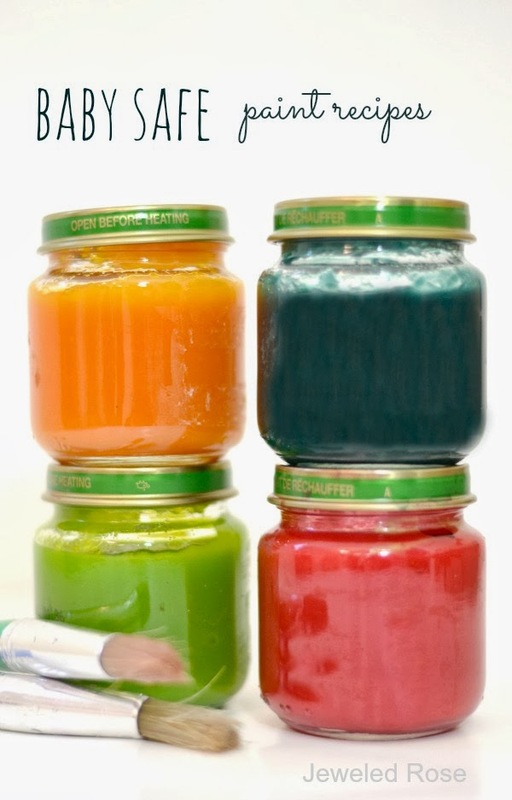 I have recently had a few readers ask me for paint recipes that are safe for baby. While I have shared a few in the past, there were several that Rosie and Jewel loved that I never got around to sharing. I am happy to finally get our favorite baby safe paints added to our homemade paint collection. 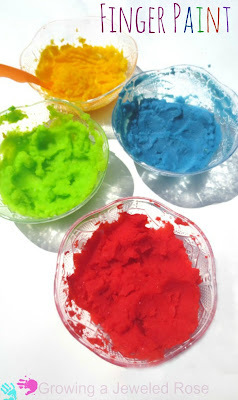 Here are over ten simple paint recipes for baby. The first homemade baby paint I am sharing is so easy to make and is still a big hit with my girls! 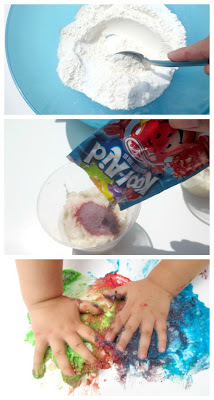 Optional: use varying colored baby food and skip the food coloring; I prefer the rich color from the added food coloring. 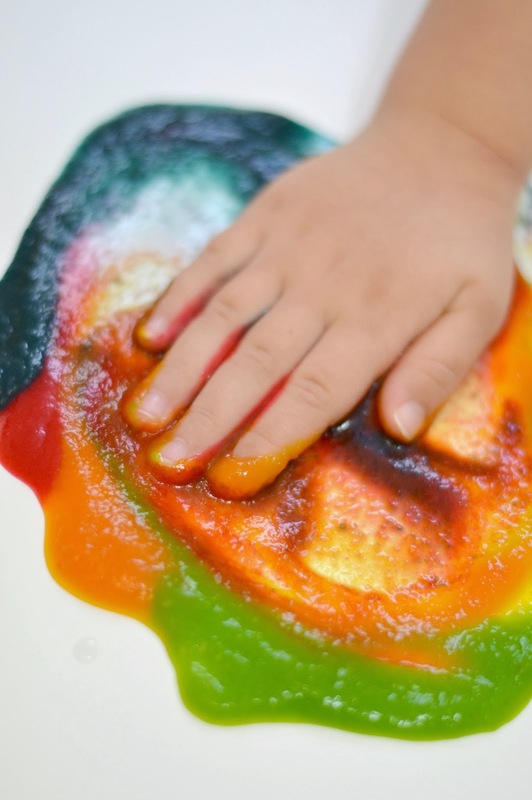 All you have to do is add a drop or two of food coloring into baby food and stir. Give it to baby on their highchair tray or on paper. 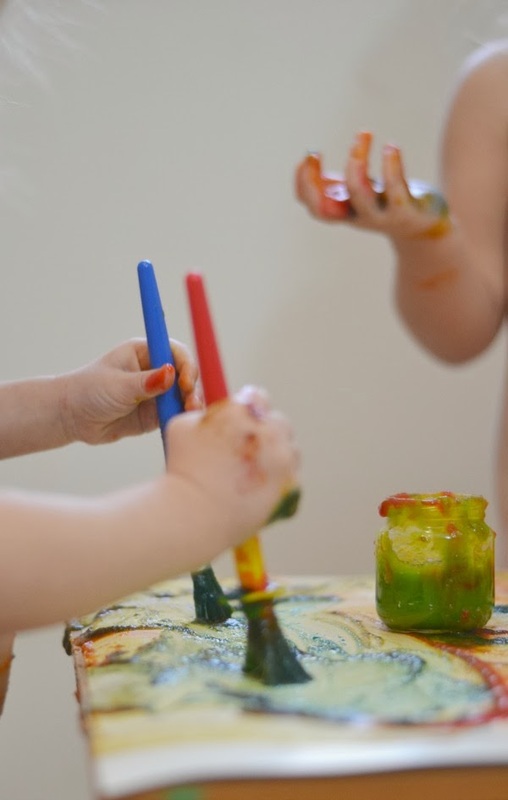 Paint brushes are fun and help build fine motor skills, but they are not needed. Often times little ones will choose to explore with their hands. 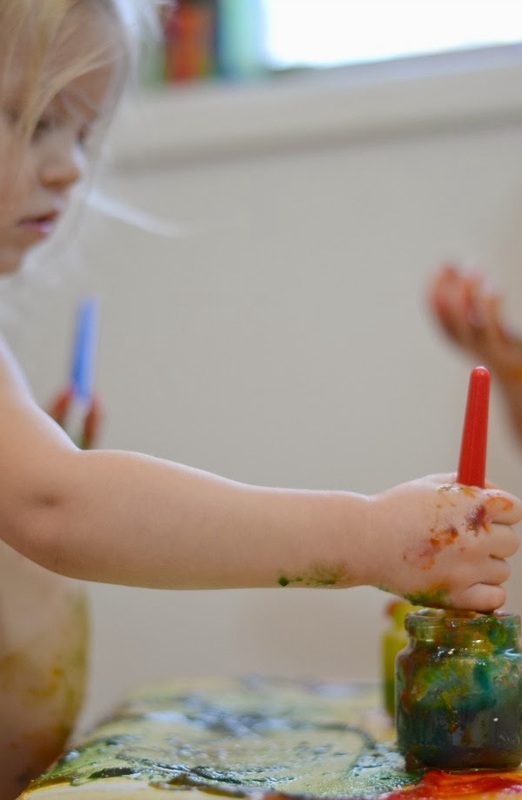 This paint is wonderful in that it is inexpensive, easy to whip up, and provides babies and toddlers with a ton of safe ways to paint and play. 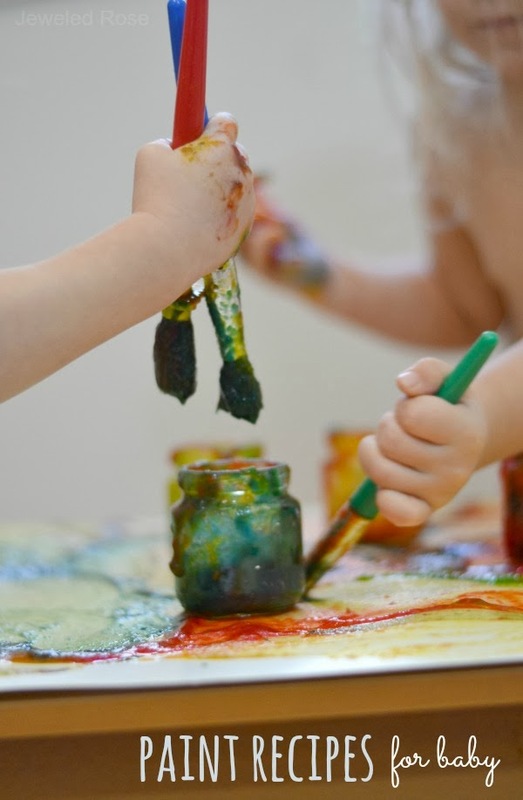 The paint is naturally scented which adds a fun element to exploration. The food coloring produces super vibrant paint colors. Babies can also safely explore the paints with their mouths which is perfect since they most definitely will. When baby food is on sale (20 cents a jar) I still pick up a few jars just to make this paint for the girls, and they still love it! Visit our homemade paint recipes collection for TONS more recipes! I will be sharing more of our favorite baby paint recipes in the coming weeks. Connect with us on Pinterest so you don't miss them!